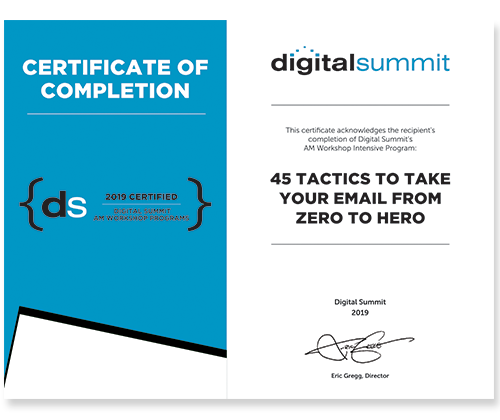 Maximize your Digital Summit learning experience by adding any of these AM Workshops intensives. Led by leading digital marketing experts, these sessions will deliver so many actionable ideas for you to take back to the office, you might need to pack a spare brain to fit them all in. SEO of today involves technical and marketing expertise. On the technical side, you must have a solid website structure, so that the search engines can find and index your webpages. That means your website needs to be free of technical errors and optimized for your targeted keywords. On the marketing side, you need to understand the web user’s behavior and how to attract them to your site. This SEO workshop provides a balance of technical and marketing tactics that when used together, will drive targeted traffic to your website. The focus is on intermediate to advanced information, but the information will be presented in such a way that it encompasses everyone. You will receive an online interactive workbook to use during the workshop, which will allow you to walk through exercises, and personalize the information you learn to your company or brand. Email continues to be the most effective one-to-one communication tactic available to marketers. In this workshop, you’ll gain a solid understanding of email’s role within your marketing mix, how to develop your email marketing strategy, how to design and develop impactful emails, the tactical differences for b2b and b2c email, along with a sprinkling of the future of email. Review what the future of email might look like over the next few years. Pro Tip: Send a team to attend Digital Summit and these workshops. That way you can either tackle multiple workshops simultaneously or attend a single workshop as a team building exercise.